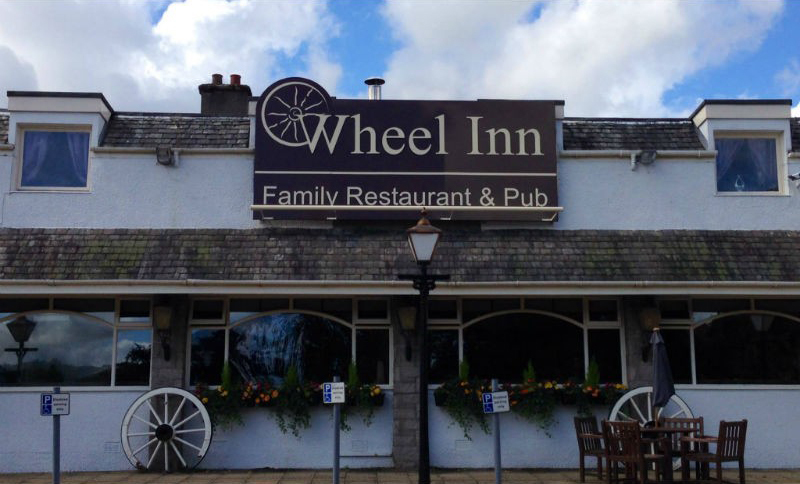 The Wheel Inn, Scone, is a large bar restaurant just a 10 minute drive from Perth city centre - making it the ideal stopping point for visitors to local attractions such as Scone Palace and Perth Racecourse. With complimentary parking for customers in the Wheel's spacious car park, it is one of the few places to eat in Perthshire where you can dine without worrying about the meter! Open from 10am midweek, you can enjoy a coffee and muffin while you catch up with the day's news in our bar or restaurant area - we even have free Wi-Fi so you can catch up on emails too! Alternatively enjoy a delicious freshly prepared meal with the family in our stylish restaurant area.